"I will create a safe world for the humans!" 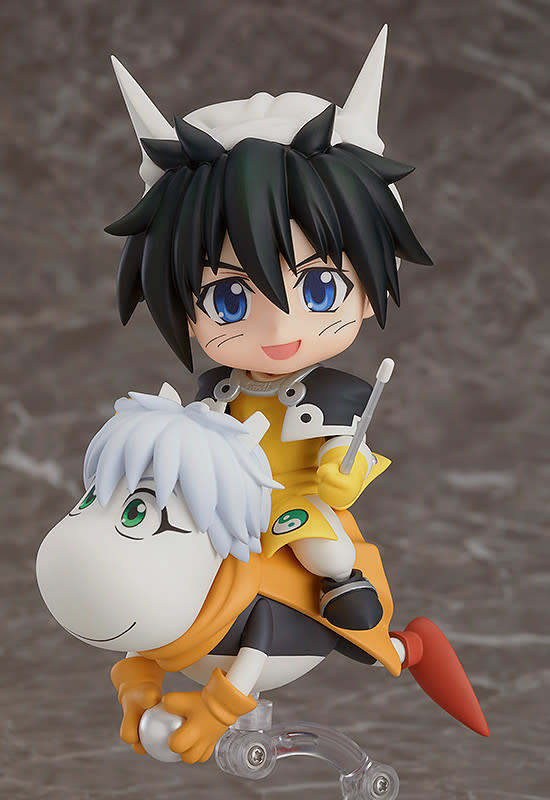 From the anime series "Hakyu Hoshin Engi" comes a Nendoroid of the doushi from Kun Lun Mountain, "Taikobo", together with his hippo-like spirit beast, Supushan! He comes with three face plates including a standard aloof smiling expression, a pensive expression to pose him taking part in a game of wits as well as one of his iconic chibi expressions. Optional parts include his "Whip of the Gods" weapon together with attacking effect parts to display him making use of it! His favorite food, a peach, is also included and he even comes with parts which allow him to be displayed riding on Supushan! Recreate your favorite scenes from the series in Nendoroid size!